Everybody knows how to train the shoulders, or so most powerlifters, bodybuilders and weight trainers think. After all, the classic 'hand me down' exercises for shoulder training are there to see in nearly every weight room in the country. Classic pressing movements (military, behind the neck, incline, dumbbell, etc. ), as well as dumbbell raises (front, lateral, back, etc. ), usually constitute the majority of the typical shoulder training menu of exercises. The question here is whether shoulder training is as simple as it should be. 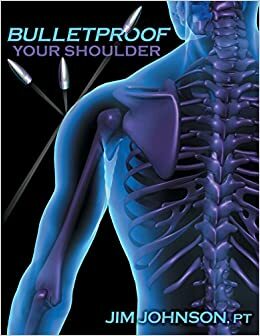 If we all do know the total story on shoulder training, then logically one would expect there to be no serious problems where shoulder development, shoulder pain and shoulder injury are concerned. Is this the case in powerlifting today? I would argue strongly that it is quite to the contrary. I have begun to realize in recent years that heavy powerlifting not only can aggravate the low back and other regions but the shoulder is a 'key' problem area as well. Probably no two areas require more thoughtful training and 'injury proofing' than the low back and shoulder. Specifically, there are three bones involved: the scapula, clavicle, and humerus; eight ligaments: coraco-humeral, sterno-clavicular, etc. ; seven joints: achromioclavicular, etc. ; and believe it or not, 17 muscles, including deltoids, pectoralis major/both sterno and clavicular portions, the four rotator cuff muscles, teres major, latissimus dorsi. biceps, triceps/long head, serratus interior, pectoralis minor, levator scapula, rhomboids, subclavius, and trapezius. 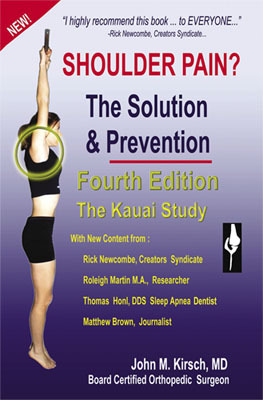 It is easy to see that the shoulder complex structurally is by far the most complicated part of the body. As a direct result we also have a much greater range of motion possible in the shoulder than in any other joint of the body. Unfortunately, however, this very complex range of motion possible at the shoulder joint makes detailed quantitative biomechanical analysis incredibly difficult. Indeed, making the exact measurements of shoulder biomechanics of muscle activity such a hard task that the research that does exist necessarily involves only estimates for the motions and forces involved with the shoulders. One important point to be made here about the shoulders is that the important muscles and ligaments crossing the shoulder joints ARE the shoulder stability. Unlike many other joints of the body (like the hip, for example) the shoulder must heavily rely on muscle and ligament activity rather than skeletal strength for its stability. Therefore development of the important muscles of the shoulder complex is extremely crucial for preventing problems in activities involving shoulders. Let's examine the shoulder musculature more closely. By now you have no doubt guessed; there is nothing simple about the shoulder muscular system. In fact, there are a number of very unusual features that characterize the muscle action of the shoulders. First of all, there is an unusually high amount of contraction where two or more muscles are contracting simultaneously. Since the shoulder joint lacks stability without muscle action, any muscle that acts to move the arm must work harmoniously with other muscles in order to avoid causing a dislocation. In other words, a large number of shoulder muscles are involved in probably every shoulder motion. The second factor distinguishing shoulder muscle activity is the number of two-joint muscles. Depending on the position of the arm, scapula, and clavicle, these two-joint muscles will have different effects on shoulder motion. As the position of the bones changes in exercise, for example, muscle activity changes dramatically. This has been demonstrated in several 'classic' studies of shoulder biomechanics. In other words, small changes in arm or shoulder positions will have significant effect on which shoulder muscles are involved and when and how much these muscles work in a given weight training exercise or sport motion. While it is beyond the scope of this short article to try to explore all aspects of the shoulder muscle activity, a few points can be made concerning the deltoids and 'rotator cuff' muscles. The three major muscle fiber populations of the deltoid muscle (most often referred to as anterior, lateral and posterior 'heads; or front, side, and rear delts) are apparently each capable of contracting fairly independently of the other heads. In other words, bench presses can conceivably involve anterior fibers of the deltoids while the other two heads are largely inactive. It is, however, overly simplistic to view the activity of the deltoids only in this sense (by saying for example, that anterior deltoid lateral raises work only the anterior head of the deltoid, lateral raises work only the lateral head, etc.). What really happens is much more involved and probably not remotely as clear cut. Many muscles of the shoulder are involved in any shoulder exercise. As for the four 'rotator cuff' muscles, the major action of these small muscles is to pull the head of the humerus (the upper arm bone) into the glenoid (the shoulder). In doing this, the deltoid muscle has better leverage and is able to elevate and move the arm more efficiently. First of all, my personal feeling about shoulder training is that until a more detailed biomechanical study is done and completed on the shoulder, 'variety' and 'instinct' should be the two key words. By 'variety' I mean that one should experiment with a greater number of exercises for shoulder motion than simply the 'classical' menu. One suggestion is to visit a good physical therapist or anyone knowledgeable in shoulder exercises to see the type of exercise they use for shoulder training. Some excellent non-classic exercises are available to try out. By 'instinct' I mean you should attempt to 'tune in' as much as possible to the body's response to shoulder movements and exercises. Most top powerlifters (Bill Kazmaier, particularly) have a great knack of evaluating exercises in this manner. This is something we all need to at least try to be aware of in our training. Let me finish by giving a short list of observations that I hope will primarily serve as food for thought regarding shoulder training. 1) I am particularly fond of dumbbell presses. This motion seems to activate, at least to some extent, most parts of the deltoid muscle and unquestionably brings into play other parts of the shoulder musculature. Dumbbell presses also reduce the excessive low back loading associated with normal barbell presses. 2) We have found in our biomechanics lab work here that the anterior deltoid is massively involved in all types of bench presses. Until we can do further work it is hard to identify which type of bench press works the anterior deltoid the most, but the anterior deltoid is unquestionably used a lot in bench presses of all types. It is an interesting question whether the anterior part of the deltoid muscle requires any extra auxiliary work above and beyond bench presses. I tend to think that many powerlifters seriously overtrain it. 3) I don't recommend pressing while seated (refer to my four articles in Powerlifting USA on abdominals and low back pain), since the stress on the low back region tends to be higher than when standing. 4) When and if you experiment with new exercises for the shoulder use light weights. Don't be overly ambitious and pack on the weight. The proportional increase is much higher when you try to increase your weight in dumbbell work. Be sure also that you are able to maintain the proper motion pattern whenever you add weight. 5) Machine training for the shoulder region should be treated very cautiously. Generally, some of the muscles that stabilize the shoulder are probably eliminated in activity (or reduced significantly) since the degrees of freedom are limited by machines. Thus, shoulder exercises when done on machines can often lead to incomplete development of shoulder joint musculature. I strongly recommend hat one use primarily free weight motion for a complex region like the shoulder. Well, it's time to put my pen down (and get back to a workout). I hope this month that I have provided some food for thought regarding shoulder training. Above all, don't be afraid to experiment and learn from your own body's responses to training. Shoulder training, like weight training, in general, is anything but 'simplistic.' Instead of blindly copying everyone you see, instead of believing without research that 'simpler' is 'better,' try to tune in to your actual responses to varieties of exercise. The long term rewards are well worth it. As bodybuilders and strength athletes, we're obsessed with finding new and exotic exercises, and the manufacturers of exercise equipment have been happy to indulge us. In the '60s, they gave us the Universal jungle gyms. Then came Nautilus, Hammer, and a virtual tidal wave of computerized circuit training machines which have bright, blinking lights and calculate our calories burned per hour, bio-rhythms, and stock market dividends. Although all this high-tech glitz and glitter has distracted even the wisest of the iron gurus, serious athletes have always come back to the basic free-weight exercises that have proven track records, exercises like the squat and bench press -- lifts that separate the men from the boys, so to speak. The one lift, however, that nobody has quite figured out what to do with is the power clean. In the pioneering days of bodybuilding, many of the best physique stars also doubled as Olympic lifters -- they were, literally, as strong as they looked. 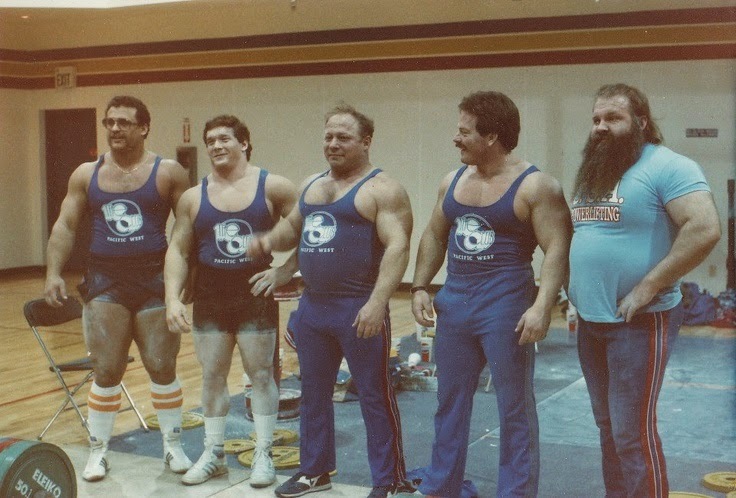 Exercises like the power clean were a mainstay of workouts, building backs of such legends as Bill Pearl, Sergio Oliva, Jack Delinger, and John Grimek. The typical training session would begin with 8 sets of power cleans and 5 sets of squats, followed by about an hour devoted to benches, bentover rows, and a few 'curls for the girls.' 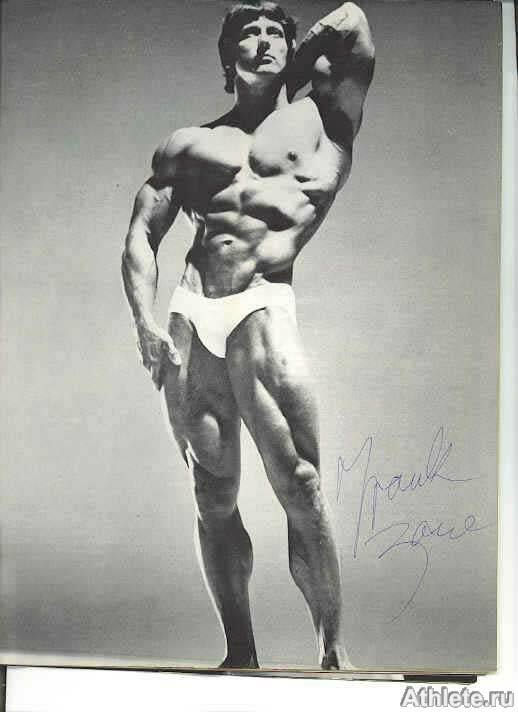 The emphasis on such heavy training was evident by the tremendous development of the trapezius and erector spinae, muscles that would fare well even by today's steroid-infested standards. But as bodybuilding evolved, something happened that made us forget our roots: we got lazy. Heavy lifting with free weights is hard work -- and it's tempting to imagine there's an easier way. Yes, it's much easier to slap a ton of 45's on the leg press machine and pretend you're Tom Platz, but it's not the same as squatting. Just ask Tom. And when the few, the proud, and the brave do squat, they rely on wraps, belts, and other wet-dream supportive gear. As for the squats that are actually performed, they're usually this quarter-squat nonsense that does as much to build your legs as power aerobics. Such pathetic exhibitions lead me to believe that if we can't get the Arnold wannabes to perform something as basic as a squat, how can we ever get them to power clean? Much of the reason valuable lifts like the power clean have fallen from our grace is due to the marketing efforts of equipment manufacturers. 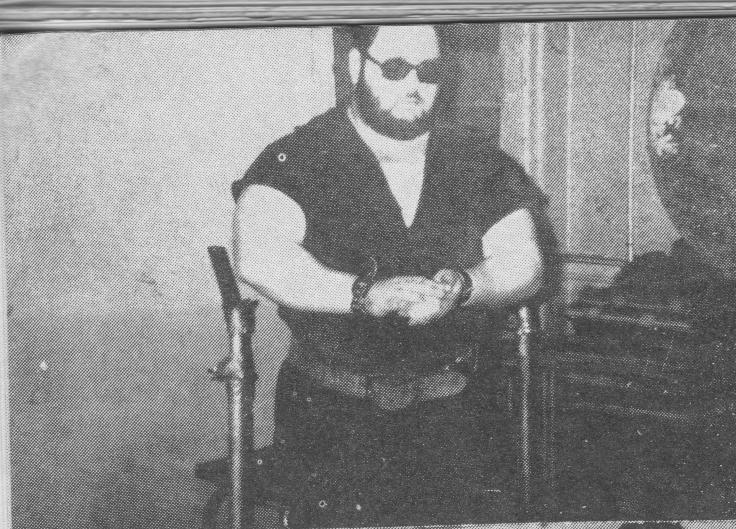 The power clean's foremost enemy is, unquestionably, Nautilus inventor Arthur Jones. Jones was a man on a mission, and that mission was to replace our precious free weights with his so-called 'time machines.' His efforts nearly succeeded in killing off the sport of Olympic lifting, which survives by the thinnest of threads today. In fact, our Olympic Team of '72 could hold its own against today's best. In retrospect, it appears that many of Jones' ideas about strength curves, sports specificity, and training in general did more to set back resistance training than to push it ahead. One of the ways machine companies brainwashed us against the power clean was by talking about the subjectivity of research -- except, of course, when it came to their own research and testimonials. As a strength coach for the Air Force Academy from 1987-1994, my job depended on finding out what was effective. The power clean works, and there's a preponderance of evidence to support my conclusion. For example, in 1989, the Air Force Academy conducted a study to determine the most effective exercises for football. Our purpose was to find a mathematical relationship between performance on the field and our weight training and field tests. What we found was that the best way for predicting talent for linemen was the power clean. The reason is simple: linemen need to be able to quickly express a high level of strength. Because the power clean allows you to accelerate your limbs over a greater range of motion, it's one of the best exercises for improving this 'rate of force development'. In contrast, with conventional heavy lifts, much time is spent decelerating the weight -- the only time maximum force can be exerted is at the beginning of the exercise. Another testimonial for the power clean was our success against the Army football team. There's probably no better test for examining the success of a conditioning program which includes the power clean than comparing the Army and Air Force. Both are military academies, recruit similar athletes, are drug-free (as far as I know), and the students live in similar high-stress environments. What's more, both football teams fun the same type of wishbone offense. Despite these similarities, Air Force beat Army in 1987, barely lost to them in 1988, then only allowed them to score one touchdown in the next six games -- in fact, last year the Army only passed the 50-yard line once! The big difference was conditioning. The Army trained extensively with machines and performed no power cleans -- the Air Force used primarily free weights and performed power cleans regularly. Our emphasis on this lift was so intense that last year I gave 15 of our players motivational T-shirts for hoisting 325 pounds or more in the lift. Was it a coincidence that we dominated the Army team? I don't think so. As for injuries, Jones and his sidekick Ellington Darden frequently claim -- without the facts to back it up -- how dangerous the power clean is. From a scientific perspective, the safety was examined in an excellent position paper by he NSCA. Also, the trainers at the Academy showed me that from 1988 to 1993, the total number of injuries during that five year period dropped by 60%! If these lifts were as inherently dangerous as Jones and Darden claim, why did our number of injuries go down? What do other elite athletic coaches think about the power clean? I posed this question to Charles Poliquin. When I asked him how many of the top world Olympic coaches used Jones' methods or machines, he couldn't think of one. For that matter, what top bodybuilders (who were not on Jones' payroll) endorse the Nautilus philosophy? So maybe Jones and Darden can brag about a high-school football team that made great gains on Nautilus and his Captain Kangaroo training protocols, but he has no frame of reference when talking about elite athletes. From a bodybuilding standpoint, there are essentially two types of fast twitch muscle fibers. Type IIa and the more powerful Type IIb. The Type IIb fibers respond better to heavy weights and lifts like the power clean, whereas the Type IIa respond best to higher reps. Much of the heavy development of the traps, back, and hamstrings on Olympic lifters is due to Type IIb fibers -- can you imagine the physique possibilities if you were to combine both types of training? The first thing you need to perform the power clean is proper equipment. If the gym you train at doesn't have a sturdy platform and Olympic bars and has a stupid policy that you can't use chalk, you're probably better off forgetting about the power clean. As for the barbell itself, it should be straight, have spring, and rotated smoothly -- Eleiko is the industry standard. Sturdy footwear is a must, so consider investing in a weightlifting shoe or at least a good cross-training shoe. The next thing you need is a conditioning base. To prepare for the intensity of Olympic-style lifting, a base of general conditioning will enable athletes to progress faster and will prevent injuries. In addition to squats, presses, and rows, special emphasis should be placed on the abdominal and lower back muscles. My final suggestion is if you're serious about lifting heavy weights in the power clean, try to get a strength coach to teach you -- a single session may be all you need. Also, there are several excellent video tutorials on this lift available. I can teach the average athlete how to perform a safe power clean in about ten minutes. The most remarkable teaching performance I ever experienced was with figure skater Veronica Chojnacki, whose extraordinary sense of body awareness enabled her to demonstrate virtually perfect technique after performing only one set! The secret is to break down the power clean into its component parts and then piece it together. It's quite simple. The best approach to learning the lift is to teach it from the top down, so as you master one phase of the lift, you go into the lower, more difficult positions. The first step is to grasp the barbell with a slightly wider than shoulder-width grip and place in on your mid-thighs. Your feet should be approximately shoulder-width apart, and your legs should be slightly bent. Arch your back, and slightly curl your wrists under (so your elbows flare out). Now position the barbell so the majority of your body weight is on the middle of your foot -- this is your power position. If you make a serious effort but find that you simply can't master the technique from the floor, you can still enjoy positive results by only performing it from the power position. From the power position, straighten your legs, and follow through with an upright row so the bar touches the bottom of your ribcage. When you have that mastered, perform this motion again, but this time continue the movement by powering the weight up and over by turning your wrists over at the top and catching the weight on your shoulders. At the catch position, you need to thrust your elbows forward and keep your hands relaxed. The last lesson in this phase is to start the lift from a fully erect position (but with knees slightly bent), raise the bar to the power position, then 'kick' the weight to the top position using your legs, almost as if you were doing a jumping jack. This counter movement will create a plyometric effect that will increase the velocity of the barbell. Now you need to know how to get the bar from the ground to the power position. Place your toes a few inches in front of the bar, less if you're taller. Arch your back, bend your legs, and grasp the bar. Place your head in line with your spine, so you're looking at an object on the floor about six feet ahead of you. Your hips are in line with your knees and the bar is touching your shins (or about an inch away if you're taller). From this starting position, straighten your legs until the bar reaches knee level or slightly above without extending your back significantly -- this is different from the conventional deadlift style where you straighten the back almost immediately. Only when the bar passes the knees will your back begin to fully straighten. Continue pulling back until you're at the power position. Repeat this several times. When you feel comfortable, perform the complete deadlift: when you reach the power position, kick the weight to the shoulders. Do this slowly, especially at the start of the lift. As you perfect the movement, you'll get less of a kick and more of a brush when you hit the power position. You'll also be able to perform the lift faster. Practice all the components of this lift with just the bar until you master it. After you get the hang of it, you'll progress quickly. The power clean is not the secret exercise that will transform mediocre athletes into Olympic champins and pencil necks into Dorian clones -- training's just not that simple. As Coach Poliquin says, "The power clean is a great tool for the athlete, just like the hammer is a great tool if you're going to build a house. But you can't expect to be able to saw with it." With that thought, let's get back to the basics and train hard with lifts that really count. For the purpose of bodybuilding I have worked out two very result producing routines which can be used by most fellows to the best advantage. We shall begin the routine with the bench press because of its great popularity and also because it should be the cornerstone of any bodybuilder's routine along with the squat. A medium grip should be used and there should be no back arching during the performance. Begin with 1 set of 10 repetitions for a warm up, and then increase the weight and perform 7 reps. Increase the weight once more and now you jump to 5 reps. Keep at it with a weight you can't possibly handle for more than 5 reps, and perform 3 additional sets with this weight. When this becomes too easy, merely increase the weight for the 5 rep sets. The press behind neck is next, and in this movement you should use a rather wide grip. The bar should be placed at just about your hairline in the back of your neck, and I would advise here the same set and repetition scheme as in the bench press, that is, 1 x 10 warmup, 1 x 7 with more weight, and finally 4 x 4-5 reps. The next movement, the bentover barbell row, should not be performed in the power rack. It simply does not feel very comfortable using the rack and so I suggest you switch to the conventional 'free type' of movement. Just be sure that you don't revert to sloppy style because you are not using a rack. To be fully effective as a muscle building medium, the movement must be performed slowly and correctly. Don't hunch your back while pulling the weight up. Don't swing the weight up in an attempt to use more weight too soon, for this will not build your back any faster but it might give you a nasty back strain which you will not soon get over. Use a close grip, and pull the weight into the lower abdomen; it seems to activate the lats better. The last upper body movement is the upright row. This is a very important movement for the skinny bodybuilder, for it enables him to fully work the arm muscles without having to sacrifice additional time and sweat in arm specialization. Also, it will work the back muscles and deltoids quite strongly and is certainly rewarding in that respect. The bar should be placed at crotch height and a close grip should be used. The bar should be pulled up to the height of the upper pectorals. The should be no kicking of the thighs during the operation and no hunching forward of the upper body. To fully feel and appreciate this movement, a strict performance is a training necessity. As I mentioned earlier, the same repetition scheme should be used for all the exercises in this routine. The final movement is the parallel squat. You have never squatted if you have not squatted out of a power rack! This must be the severest type of repetition squatting in existence. First of all, you place the squat bar at parallel height. Then you squeeze yourself under the bar. You are now ready for squatting! You will find that you can't even come close to your usual squatting poundage. This is because you usually squat from a standing erect position so that there is a slight 'rebound' at the bottom and this muscle rebound helps to overcome the hardest part of the lift, getting up with the weight when coming out of the bottom position. And I also guarantee that your legs will respond like they never have before. Additional thigh shape and size can be realized in a very short time if you are willing to work regularly and very hard. The repetition and set scheme should remain the same, and once again I urge you to try to use the heaviest weight possible for each set of required repetitions. This routine can be most effectively performed on the power rack and its simplicity and its ease of operation shall save the bodybuilder much time. The rep scheme should be somewhat more severe in its scope since you are only using three movements, and by doing so you will be able to recuperate much quicker than when spending your energy on more exercises. You should begin with 1 set of 10 reps for a warmup. Now increase the weight to a poundage you can barely handle for 6 reps. Once more increase the weight of the bar so that 3 reps are all you can possibly manage. You should try to perform 5 sets with this weight. When this is possible, you then should increase the amount of weight in each of your sets so as to keep a close watch on your up-and-coming muscular power. After this, set the pins and the bar at the exact height of your particular sticking point and perform 3-4 sets of 3-5 reps from this position so as to force additional work on the involved muscles just where they need it the most. You should use a medium grip in the bench press, a close grip in the bentover row, and a medium foot stance in the parallel squat. This is because you are using the power rack primarily for bodybuilding results and not merely to see how much you can possibly lift, as is the case of the powerlifter and Olympic lifter. Let me repeat, these two routines are geared for bodybuilders, primarily the ones who are underweight. I am sure that if a weight gaining diet is followed while undertaking these routines, the trainee will produce the greatest weight gain of his entire life and his power will jump to its all time high. Such is the value of power rack training. It goes without saying that the powerlifter and the weightlifter will gain tremendously from the correct type of training on the power rack. However, the power rack work must be of a specialized nature. For quite a long time, most fellows thought that a basic bulking routine would suffice. That is, they would use heavy weight, high sets and low reps just as in the two routines I have just outlined for the bodybuilder. However, the strength lifter requires a different training scheme. Because he is interested in increasing mainly his three competitive lifts and cannot possibly dissipate his energies on various movements, such as incline presses, half squats and high deadlifts, which will hamper his three-lift potential. Instead, why can't the trainee simply use the same movements but use sectional training? For instance, Jim is a powerlifter. He uses the power rack two times per week and once a week he works up to his one rep limit on the three power lifts using the 'free' competition style. On Monday Jim performs the three power lifts on the power rack. He places the bar dead on the chest for his bench presses and he adjusts the bar to parallel position for his squats. The deadlift is performed in the usual competition style since this lift begins with the weight on the floor, hence it begins in the bottom position (the hardest part of any lift). On this training day Jim follows the 'increase the weight on the bar and decrease the repetitions performed per set' training method. His highest poundage will find him using approximately 80% of his true one rep limit. On Wednesday Jim still continues to train on the power rack. However, on this day he will place the bar for each lift at his most difficult position, at the sticking point. He will perform 1 set of 10 reps to warm up and then jump to 1 set of about 7 reps. Then once again he jumps the weight to a 3-rep limit and finally he will perform 5 singles with a weight that is 90% of his one rep limit. 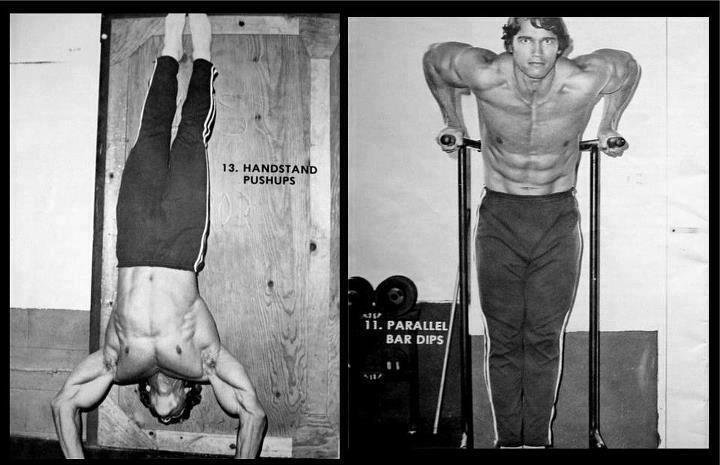 By working out of the power rack and starting from his sticking points, Jim has still used his three competitive basic lifts but he has used them in a different way and hence is not bored in performing them. On Friday, Jim will not use the power rack. He will again perform his basic three lifts but this time his workout will consist of mostly single attempts with a limit weight and possibly an attempt at a new record. By incorporating both regular and rack training in his weekly regime, Jim does not have to worry about the rack possibly destroying his coordination or his lifting timing. Also he has used only the three main lifts which he competes in, yet the power rack has enabled him to turn the lifts into 'assistance exercises' to combat training boredom. Using both the power rack and conventional methods for training for the three power lifts or even the two Olympic lifts should aid just about anyone in increasing his lifting or bodybuilding potential. For the bodybuilder, the rack work is most effective when combined with a bulking up period of increased caloric intake. He should make his training schedule relatively short but very, very heavy. For his particular usage the 'sliding pole' rack is best. So, as you can plainly see, rack work will aid just about anybody. And any initial difficulties you may have when first becoming initiated into this specialized type of training will prove itself well worth the suffering when you realize that in the long run you are going to become very heavily muscled and exceptionally strong in a very short while.